The appointment of Mr. Dijsselhof will signal a new era for SIX. 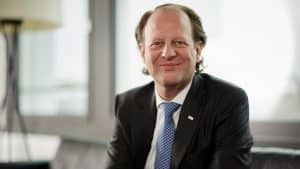 SIX Swiss Exchange, Switzerland’s principal stock exchange, has appointed Jos Dijsselhof Chief Executive Officer (CEO). He will be succeeding Urs Rüegsegger, who back in May revealed he would be retiring. Mr. Dijsselhof will step into the new role on January 1, 2018, following a transition from Mr. Rüegsegger, who will retain operational duties until year’s end. Mr. Dijsselhof joins SIX from Euronext Amsterdam, having worked as its COO and Interim CEO over the past three years. The appointment of Mr. Dijsselhof will signal a new era for SIX, which has been led by Mr. Rüegsegger for the past nine years. Since ascending to the role in 2008, Rüegsegger has steered the group, seeing it steadily rise in market clout and standing. Mr. Dijsselhof is himself no stranger to the financial services space, garnering a lengthy tenure across leading banks and investing institutions. Prior to his time at Euronext Amsterdam, he held senior roles at ABN Amro Bank, Royal Bank of Scotland and ANZ Australia & New Zealand Banking Group. This included time spent in Hong Kong and the Asia-Pacific (APAC) region, before transitioning back to Europe under Euronext Amsterdam. “I am delighted to have found in Jos Dijsselhof an experienced manager for SIX with strong leadership qualities and an outstanding track record,” explained Mr. Lacher.